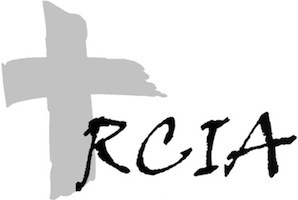 The RCIA process is the Catholic Church’s way of welcoming and assisting those who inquire about the Catholic faith and are searching for meaning and direction. The Rite of Christian Initiation of Adults (RCIA) is a result of the mandate from Vatican Council II calling for the restoration of the catechumenate process of the early Church. This is expressed in the Decree on the Church’s Missionary Activity. The RCIA was prepared by and through the Congregation for Divine Worship, approved by Pope Paul VI in 1972 and approved for use in the United States in 1974. In 1986 the United States Catholic Conference of Bishops approved the ritual edition of the RCIA for use in the United States which included additional rites for both the baptized and unbaptized. The RCIA process is a continuation of one’s journey of faith and is divided into various stages, which help foster the conditions in which conversion might occur. This is done with the help of a qualified parish community team of a Parish Coordinator, Sponsors, Catechists, Pastor, Hospitality Group and Prayerful Parishioners. Process Begins: The last Tuesday in August – General Gathering, for those interested, for one hour from 7-8 p.m. in Room 1 of the Parish Hall. Sessions Begin: The beginning of September – one evening a week 7:00-8:30 p.m. The decision, for which day of the week for the meetings, is made by the group each year. All parishioners are an integral part of the Parish Team. Their ministry is to pray for, support, and encourage those going through the RCIA process each year. They also need to help them get involved and acquainted with the activities and celebrations in the parish during the year.